As of 2015, Stowe's last film appearance was in the 2003 thriller Octane. From 2011 to 2015, she starred as Victoria Grayson, the main antagonist of the ABC drama series Revenge. For this role, she was nominated for the 2012 Golden Globe Award for Best Actress – Television Series Drama. Stowe, the first of three children, was born at the Queen of Angels Hospital, in Hollywood, Los Angeles, California and raised in Eagle Rock, a suburb of Los Angeles. Her mother, Mireya (née Mora Steinvorth), had come from a prominent family in Costa Rica. Her father, Robert Stowe, was a civil engineer from a "poor Oregon family". One of Stowe's maternal great-great-grandfathers, politician José Joaquín Mora Porras, was a younger brother of President Juan Rafael Mora Porras, who governed Costa Rica from 1849 to 1859. Another one of Stowe's maternal great-great-grandfathers was Bruno Carranza, President of Costa Rica in 1870, albeit briefly, as he resigned three months after taking power. His wife, Stowe's great-great-grandmother, Gerónima Montealegre, was the sister of President José María Montealegre Fernández, who governed Costa Rica from 1859 to 1863. One of Stowe's maternal great-grandfathers was a German immigrant to Costa Rica. Stowe's father suffered from multiple sclerosis, and she accompanied him to medical treatments. She originally aspired to become a concert pianist, taking piano lessons between the ages of ten and eighteen. Stowe would later explain that playing the piano was a means of escape from having to socialize with other children her age. Her Russian-born music teacher, Sergei Tarnowsky, had faith in Stowe, even teaching her from his deathbed. Following his death at the age of 92, she quit, later commenting: "I just felt it was time to not be by myself anymore." Stowe went on her first date at the age of eighteen. Stowe studied cinema and journalism at the University of Southern California. Not being especially interested in her classes, she volunteered to do performances at the Solaris, a Beverly Hills theater, where a movie agent saw her in a play and got her several offers of appearances in TV and films. In 1978, she made her debut in an episode in the police drama series Baretta, followed by a string of TV work with guest appearances on The Amazing Spider-Man, Barnaby Jones and Little House on the Prairie. In 1978, she played a leading role as Mary in the television movie, The Nativity (1978). She starred in two NBC miniseries - Beulah Land (1980); and The Gangster Chronicles, which starred Brian Benben, her future husband. She also starred in several television films, such as Amazons (1984) and Blood & Orchids (1986). In 1987, Stowe appeared in her first breakthrough role in the feature film Stakeout with Richard Dreyfuss and Emilio Estevez. The film debuted at No.1 at the box office. She co-starred with Mark Harmon in the comedy Worth Winning, with Kevin Costner in the 1989 thriller Revenge, and opposite Jack Nicholson in 1990 in The Two Jakes. She played a leading role in the 1991 independent film Closet Land. In 1992, she appeared opposite Kurt Russell in the crime drama Unlawful Entry. That same year, Stowe played Cora Munro in The Last of the Mohicans, which also starred Daniel Day-Lewis. Her critically acclaimed performance in the film, which grossed more than $75 million worldwide, elevated Stowe from supporting player to an A-list movie star. The next year, director Robert Altman cast Stowe in the award-winning ensemble cast movie Short Cuts, where she gave one of her most acclaimed screen performances as the wife of a compulsively lying and adulterous police officer played by Tim Robbins. She won the National Society of Film Critics Awards for Best Supporting Actress, a Golden Globe Award and a Volpi Cup for Best Ensemble Cast for her performance in the movie. She also made a cameo appearance in Stakeout's sequel Another Stakeout. The following year, Stowe played a leading role as a blind musician in the thriller Blink, in the neo-noir thriller China Moon, and in the Western Bad Girls. The year after that, she was a sympathetic psychiatrist in the financially successful and critically lauded science-fiction movie Twelve Monkeys. Stowe received a Saturn Awards nomination for this performance. In 1994 Stowe was named one of People magazine's "50 Most Beautiful People in the World". In 1995, Stowe was chosen by Empire as one of the "100 Sexiest Stars in Film History". Stowe postponed her acting career in 1996 to concentrate on motherhood. In 1998, she came back with The Proposition and Playing by Heart, and then The General's Daughter, opposite John Travolta in 1999. In 2001, she starred in the science-fiction box office bomb Impostor. In 2002, she played Julia Moore in the war film We Were Soldiers with Mel Gibson, and the box office flop action-comedy Avenging Angelo opposite Sylvester Stallone. In 2003, she starred in the thriller Octane as Senga Wilson, a single mother trying to save her teenaged daughter Natasha (Mischa Barton) from a bizarre cult obsessed with blood and cars. Stowe had left the screen in 2003 and settled on a Texas ranch outside Fredericksburg, with her daughter May and husband Brian Benben. Stowe returned to television in 2005 with a role in the television film Saving Milly, an adaptation of Morton Kondracke's book of the same name, of a woman diagnosed with Parkinson's disease. Stowe starred in the not-picked-up Fox pilot Southern Comfort about a woman who takes over her mobster husband's business when he gets sent to prison. In 2007, she appeared in the recurring role of Dr. Samantha Kohl in Jeff Goldblum's supernatural detective drama Raines on NBC, a mid-season replacement. The series was canceled after two months. In 2009 she starred in the Lifetime movie, The Christmas Hope. In 2011, Stowe began playing Victoria Grayson, the glamorous and powerful matriarch of the Grayson family, on ABC's television drama series Revenge. It debuted on September 21, and was picked up for a full season by ABC on October 13. 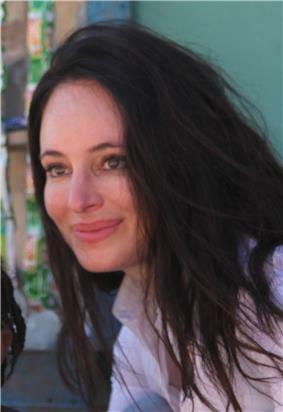 Stowe's portrayal of the character received critical praise, and she was nominated for a Golden Globe Award for Best Actress – Television Series Drama for this role. In April 2012, she came in fifth in People magazine's annual Most Beautiful Woman list. In 1982, Stowe married Brian Benben, whom she met on the set of the NBC miniseries The Gangster Chronicles the previous year. They live west of Austin, near Johnson City, Texas, and have a daughter named May Theodora (born 1996). In 2008, Stowe travelled to Haiti and helped found Artists for Peace and Justice. She is on the Board of Directors of the foundation. ^ "Madeleine Stowe". Los Angeles Magazine. Retrieved 28 November 2014. ^ a b "Madeleine Stowe profile at FilmReference.com". Retrieved 28 November 2014. ^ "The Leading Madeleine Online Site on the Net". MadeleineOnline.com. Retrieved 2014-06-04. ^ "Search Results". Retrieved 28 November 2014. ^ "Madeleine Stowe's Second Act | MORE Magazine". More.com. Retrieved 2014-06-04. ^ "What drives Madeleine Stow [sic] up the Wall?". EW.com. Retrieved 28 November 2014. 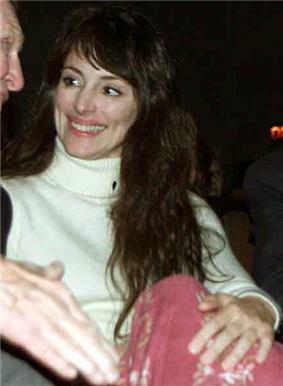 ^ a b c d e "Biography for Madeleine Stowe". ^ "Stakeout' Ranks No. 1 In Box-Office Sales". ^ "Stakeout in First Place In Week's Ticket Sales". 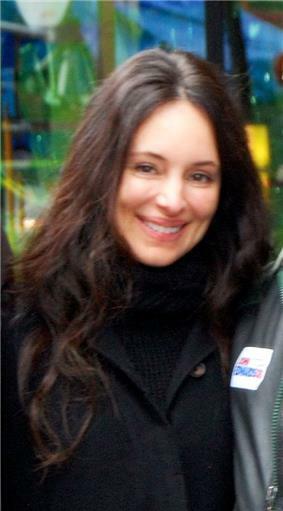 ^ a b c d e "Madeleine Stowe- Biography". ^ a b "Awards for Madeleine Stowe". ^ "The 50 Most Beautiful People in the World". ^ "Impostor - boxofficemojo". Retrieved 28 November 2014. ^ Andreeva, Nellie (March 15, 2011). "Madeleine Stowe Among Latest Pilot Castings". ^ "" on ABCRevenge"". ABC. Retrieved 28 November 2014. ^ Ausiello, Michael (October 13, 2011). "Breaking: ABC Orders Full Seasons of Revenge and Suburgatory". TVLine. Retrieved October 13, 2011. ^ "'"The New Queen of Mean: Madeleine Stowe of 'Revenge. Rolling Stone. Retrieved February 17, 2011. ^ "Golden Globes nominations: 'The Artist' leads pack of nominees". EW.com. Retrieved 28 November 2014. ^ People Weekly. September 28, 1998, p. 29. ^ "abc News". Retrieved July 2013. ^ "The Team - Artists For Peace And Justice web site". Retrieved 28 November 2014. 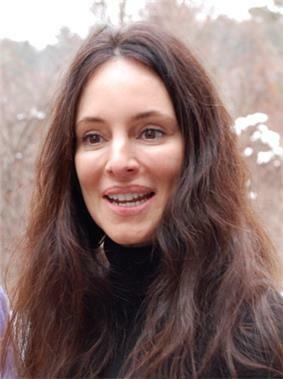 ^ "Twitter / USCHealthNews: Actress Madeleine Stowe takes". Twitter.com. Retrieved 2014-06-04.